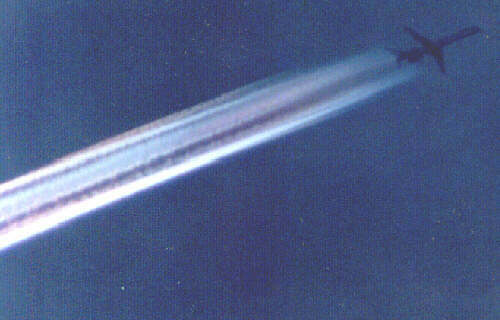 These photos show once again emissions which extend across the entire wingspan, and consequently they can not emanate solely from the engines of the aircraft, which in this case are rear mounted (tentatively identified as a MD80, a derivative of the originally identified McDonnell Douglas DC9; further identification assistance has been provided by a pilot of 10000 hrs military, civilian, and commercial time). The reader will also note again a distinct pinkish coloration in the emissions, which is even more visible in the original photos. 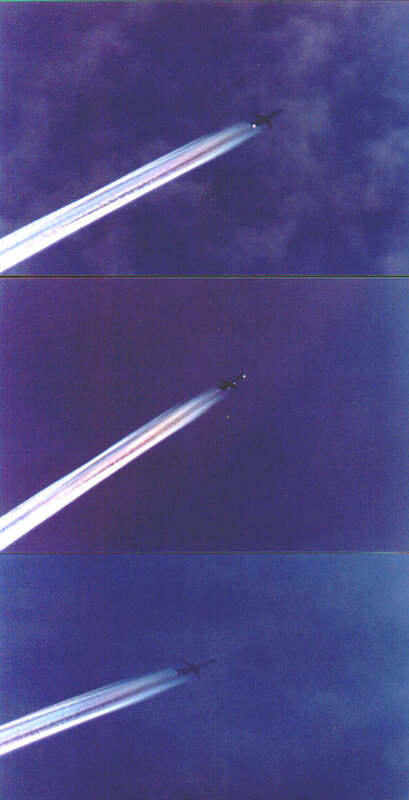 These photographs are the fourth case presented of wingtip to wingtip aerial spraying in the United States, and as captured on film by three independent photographers in separate locations. 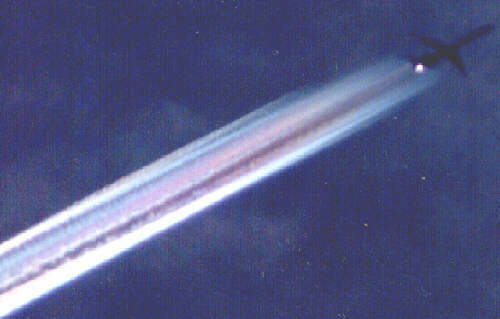 These photographs were taken with a lens with an effective focal length of 1200mm (4 feet), as described on the web page “How to Photograph an Aerosol Plane” on www.carnicom.com. 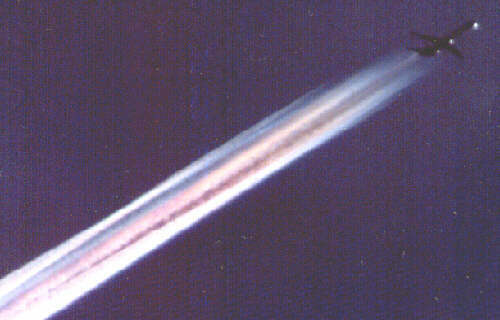 Upon additional questioning with the photographer, the trails shown in these photographs were designated as persistent, they extended from horizon to horizon (east to west), and they resulted in additional cloud cover in combination with the heavy activity over Santa Fe on Nov 30 1999. Insufficient data was collected by the photographer to allow a photogrammetric estimate of the altitude of the aircraft.